I want to take on the mindset that recording is additive. Here’s what I mean; when musicians are shopping around for a studio, it’s common for the engineer to mention that such-and-such gear was used by such-and-such artist. They do this because it works; people love to hear it. There’s a mythology around famous gear that usually sounds like this: If you sing through Sinatra’s mic, you’ll sound like Sinatra. If you’re mixing through a Neve, you’ll sound like Steely Dan. It might not be explicit, but it’s often implied that the sound comes from the gear. Selling a studio based on its gear is a problem unto itself, but this all stems from the idea that recording is additive; that every piece of gear you record through is going to add something to the sound until your music comes out the other end sounding like a finished product.. But it’s actually the opposite. The microphone, the first item in the signal chain, is essentially a filter. It’s rolling off the frequencies at both ends of the audible spectrum, and adding resonance and noise. The next item is the microphone preamp; a “clean” preamp is going to do its best to preserve all the information in the original signal, while a “colored” preamp is going to lose some information, usually transients & high frequencies. If you’re tracking through a compressor, you’re decreasing dynamic range. If you’re recording to tape, you’re adding noise, losing more transient impact, and further reducing the frequency range. 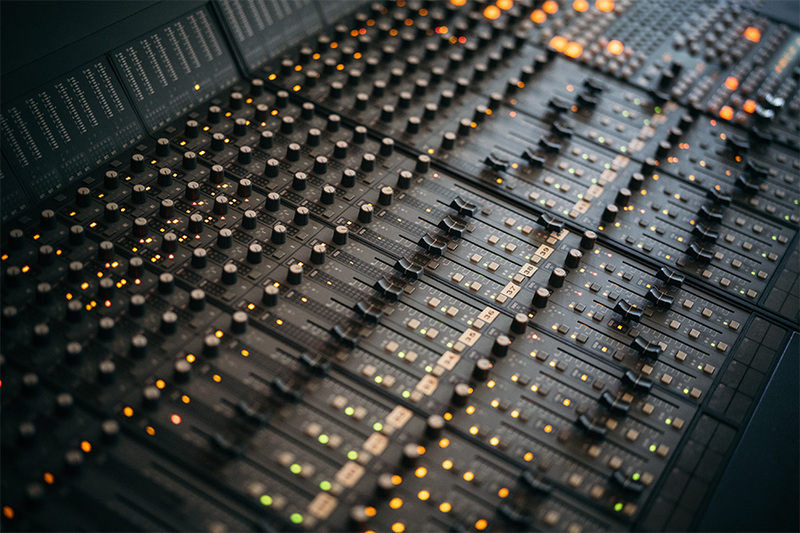 If you’re recording to digital, you’ll need high-quality conversion to translate the analog signal without degradation. Of course, that’s not a bad thing. Think of a photograph; a sharp, high-resolution image of your face can expose too much detail. A little softness can be attractive, and that principle goes for audio too. But imagine if someone told you that since their camera was used to take photos of models, you’ll look like a model through that camera too. We have an intuitive understanding of the visual medium, so we wouldn’t fall for something like that; we know a camera can only capture the image, not create it. It’s the same way with audio. So here’s the basic idea: from microphones & preamps to tape & digital, each piece of gear can only capture what’s there to begin with, and it can only remove information from that point. That means we need to stop treating gear like it’s magic. Start with the best performance you can give, on the best instrument you can find, in the best room you can rent, and it won’t get any better than that.